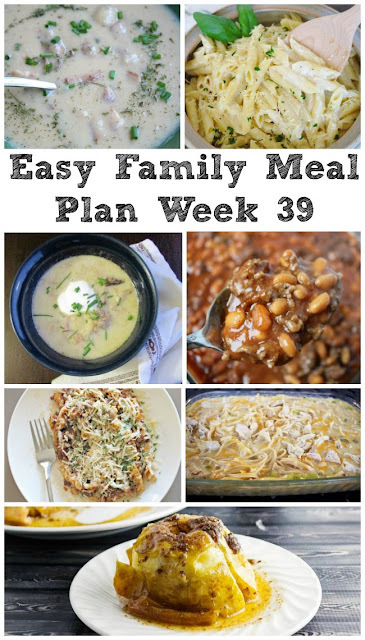 We have dinner planned for you this week! With 6 family friendly recipes and a fun dessert treat! Whew! We survived #AppleWeek and #PumpkinWeek. 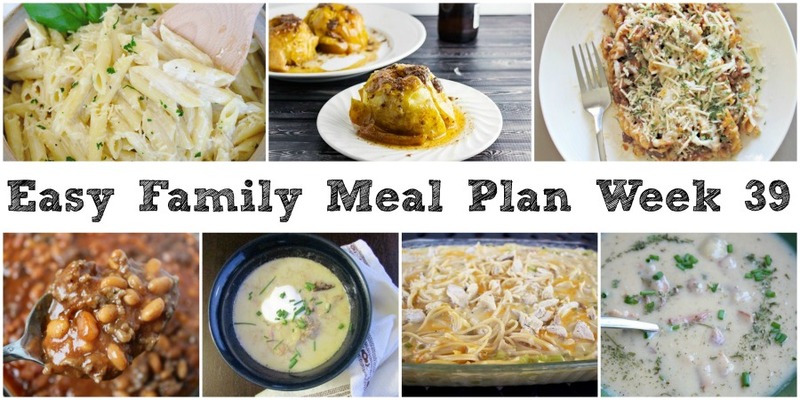 Now I need a good month or two to catch up on making all of the fun recipes I collected along the way. Which ones were your favorite? Did you see anything you just have to make? To be honest, I am ready for a nap after all of that. But there is no rest for the wicked and there are a lot of fun things coming up so I have to prep and cook some more. This week I will be making desserts for a friend's son's wedding rehearsal. I am really excited about it! Next week we'll be celebrating all things chocolate here on the blog. After that we are hosting sanctioned events here at the house... there are spots on the plaque up for grabs two weekends in a row. That has never happened before. So needless to say, the gloves are coming off and it's time to get serious! In the mean time though, we have to eat. So here is what's for dinner! 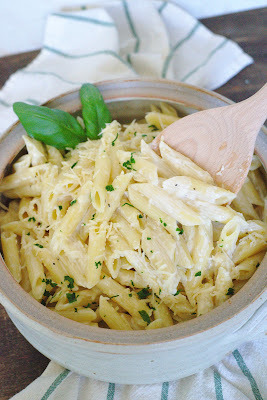 We'll kick things off with this Creamy Roasted Garlic Penne Pasta from Mildly Meandering. That's a pretty good way to start the week if I do say so! Next up we'll enjoy some Pulled Pork Enchilada Verde Soup. It's a great way to get the flavor of enchiladas without the work! 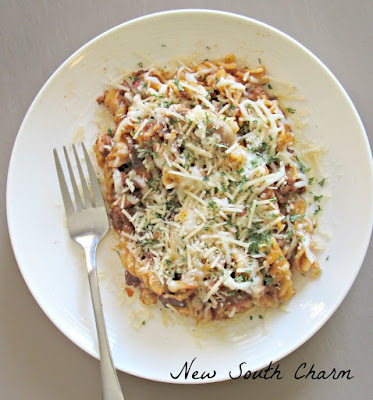 We are sure to enjoy some Baked Beef and Mushroom Rotini from New South Charm. 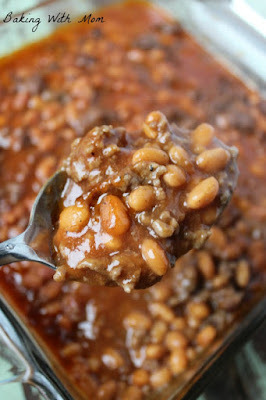 Don't these Best Baked Beans from Baking With Mom look delicious?! Mmmm, so good! 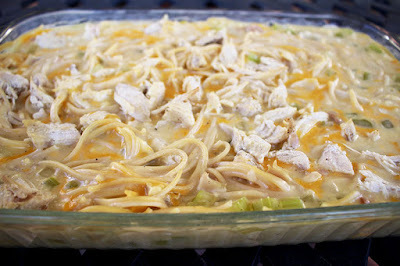 Lastly we'll enjoy some Chicken Spaghetti from Recipe Treasures. 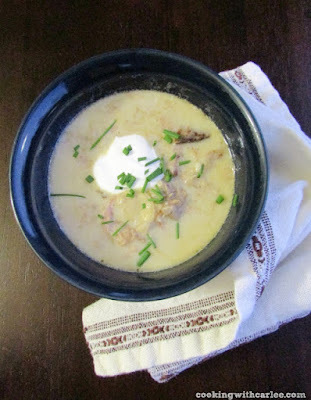 What creamy comforting goodness! After a long week, we'll need a treat. 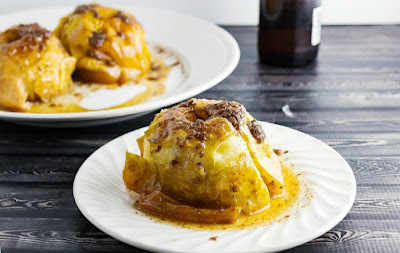 A Honey Baked Cinnamon Apple from Seduction in the Kitchen is just the thing!